At CyRise, we support early stage cyber security startups through our 6-month accelerator program. We care about nurturing innovation in the cyber security ecosystem in Australia, and are proud to invest in local talent to help provide new and exciting solutions in the space. Our 6 startups have progressed incredibly since being in the program. 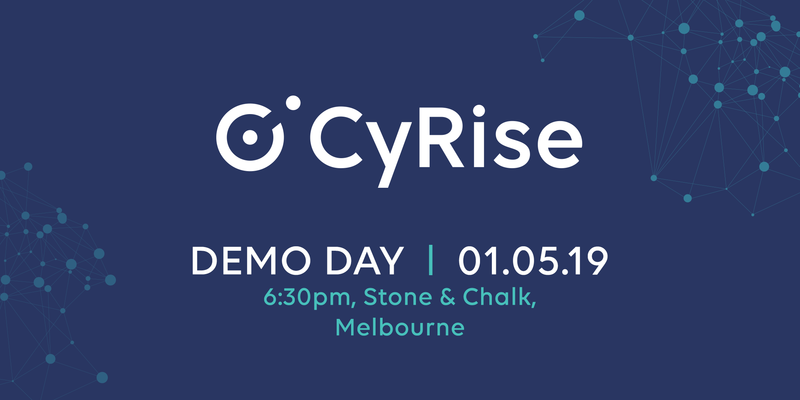 We're delighted to have them showcase their solutions at our Demo Days in Melbourne and Sydney in early May. Come along to see what innovation in cyber security looks like. Tickets include drinks, nibbles and good conversation with clever people.